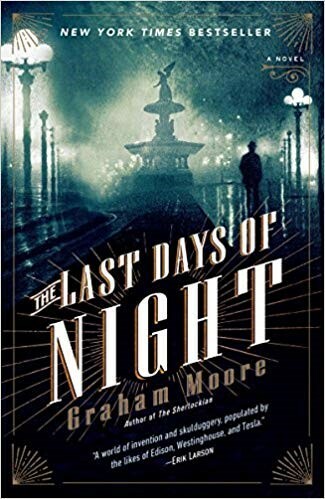 I found this to be a very entertaining read, which helped give me a real feel for the period when the electricity cables started to connect the cities and then towns of North America. Moore did a great job of invoking a sense of place and time. I felt the magic of those times, so appropriately generated, by profound technological progress. The alchemy of turning night to day was of an order of wonder only matched in my lifetime by the Apollo missions to the Moon. My difficulty with this reading is small and to many will seem pedantic. That being my strong preference that writers of historical fiction never play fast and loose with the known timelines of events. Facts and the time on which they act should be sacrosanct in the reporting of history. The writer should only weave his fiction, his story, on the solid framework of all commonly accepted truth. He may of course dispute details if there is a case to be argued, such that perhaps in one infamous earlier history ‘the princes weren’t suffocated in the Tower of London’ and Richard III didn’t have the extreme deformity reported by Shakespeare. However, to condense and distort events is to rip deep slashes into the fabric of the past. This book, despite telling the story so well can finally stand only as an entertainment; a first class one, an informative one, but mere entertainment nevertheless. Crude measure of a book should be awarded simply on the qualities of the writing, and so giving less than five stars where such banality is demanded would be disingenuous indeed. There was a brief period at the start when I thought that there was going to be rather too much engineering talk about helicopters, but this soon passed. Then very soon I was being drawn into the real story, the one about the characters that pilot those machines, and particularly the sub-culture of well-travelled pilots that ply their trade wherever it is called for. 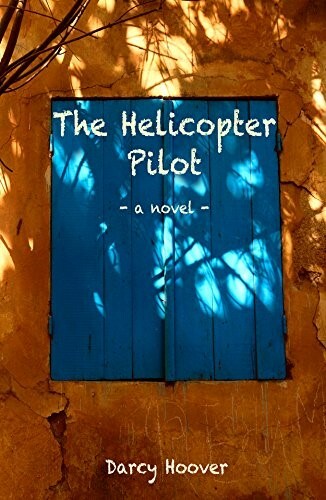 The story centres on a group of pilots working a fictitious site of oil drilling platforms of the coast of East Africa. As the story begins to generate pace, we soon realise that its main theme is a clash between wealthy, privileged Western and a strong African culture that manage to sustain its people despite appalling relative poverty. The central figure, a form-filling, technically efficient if less than naturally talented, pilot is both naïve and prejudiced in his attitudes to foreigners in general, and especially those that live under African skies. He isn’t racist, that would be an unfair slur, but he certainly lives his bottled-up life under a thick blanket of cultural prejudices and unsound expectations. However, the mix of skin-hardened bush, ex-military and worldly-wise commercial pilots ensure that Edward sees his African contract through, if only just. We see Edward not so much change his spots, but to at least give them a depth of human understanding, that even in our widely wired, and increasingly educated population is far from always associated with first-world experience; even when burnished with occasional bursts of sunburn't crimson in one protected tourist enclave or another. This is a well written first book by a more than competent independent writer, who brings a good deal of personal experience to this entertaining story. However, a professional copy edit would certainly improve the read. . It is, in the end, a book about the human condition, about the ability of people to make the best of what they have, wherever they happen to be, and about the prejudices in our variable characters that define us all, that make us the individuals we are. Edward would end up utterly the same man and yet profoundly changed by a few weeks in a much larger world; a place less tailored to his comfy, safe, preconceptions. This is a great read, despite some minor repetitions. We have to bear in mind that this is really only a series of essays, some of which cover a little of the same ground. My view is that if Hawking had lived a little longer then this would have been a better compiled set of ‘letters on the big questions’, but that doesn’t much detract from the quality of the work, and certainly not from its messages. These essays run a lot wider than science, into Hawking’s hopes and fears for humankind. Some of the essays run into sensitive issues, which raise a good deal of honest debate. Well, there are just too many of us on our wonderful planet, which we are rapidly destroying, and this alone must justify our questioning of everything, even the very existence of God. There are a few contradictions in the science, which isn’t surprising when writing about an incredibly quickly advancing field of science, cosmology, and especially when the material was compiled from words written over some spread of time. Inevitably the gravitas, the gravity of Hawking’s thoughts are also less than perfectly modulated. I was only too pleased to read every single word despite my minor criticisms. I must add though that for me the finest words in this book were actually penned by his daughter, Lucy, in the Afterword. I quote from the many pearls among them. “I think he would have been very proud of this book.” This collection tells us a little about Hawking as a political animal, being in part autobiographical, and given yet greater insight into the man by the biography content of the other contributors. We have had a ‘Brief History of Time’, which is now augmented by this brief and personal feeling encounter with the brave genius in the electrically powered chair. Alas, the book is all too brief, and doomed now to a steady state of content, unlike our dynamic and cosmically unstable universe. This is a wonderful true to life book, written by the sufferer of a major cerebrovascular accident experienced at the very young age of thirty. 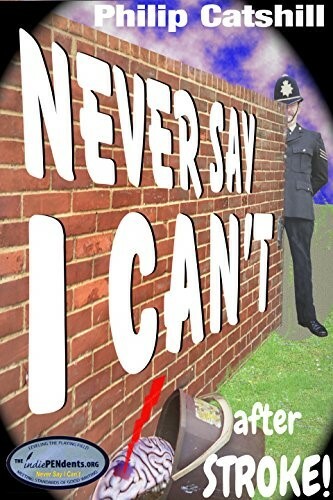 Having just received his sergeant’s strips as a British Policeman, Catshill is cut down to a physical half, with a severely damaged long and short-term memory and at first a total lack of coherent speech. He had to learn how to regain control of his motor functions, especially those on the entire right side of his body, and his mind. The man even had to ‘retrain’ his injured brain to see through what had become a suddenly ‘disconnected’ right eye. His courage, honesty, and determination shine through in proverbial buckets. Catshill has survived not only this story’s devastating stroke, but two more less severe episodes since. That is that they were considerably less severe than the first, but by no means inconsequential. In his rebuilt life he has become a first class autobiographer and in another genre fiction writer. This is the sort of story that should fortify the determination of any one of us having fallen into some form of severe health crisis. Except sadly, our own minds are likely to be so shattered or simply pre-occupied that we will fail to benefit from any memories from this amazing story about the will to recover. This is an immensely humorous book, though of course often of a very black nature, but one that raises genuine belly laughs at that, and so it should for live is unbearable if we try to treat every unfortunate situation with only the gravity it naturally generates. It goes without saying that it also inevitably moistens one’s eyes. I felt at liberty to laugh at Catshill’s struggles, laughing with him, but taking the seriousness, the mental depression, the physical distress on-board. In many ways this will always be a unique book, as it is rare for anyone to recover from such major trauma, and to also have the intellectual ability to subsequently write so well about the event. When the trauma is of the nature of a stroke, a literal cerebral infarction, then this book must be seen as all the more remarkable. This isn’t a some imagined third person narrative or ghost-written augmentation of the victim’s capacity, this is true, direct, gritty autobiography. Some living individuals don’t come out of this narrative at all well, as brutal honesty extends beyond the author himself. I trust that their identities are well hidden. Arguably, biography can only be real when the wide field is truly accurate. There is no implied criticism on my part, only reason that would always prevent me getting to close to publicly disclosed personal truth. Memoir is an often-painful genre. As we read in this story, we notice how a simple sentence, spoken or written, can be totally devastating or by tone or tiny change be the greatest of empowering gifts. Recovery is always easier with the kindness of others and can hang in the balance either way on very few targeted words. The words in this book are chosen and ordered to strong affect. The Bit Dance-Tilmer Wright Jr. I very much enjoyed this very near future speculative fiction. 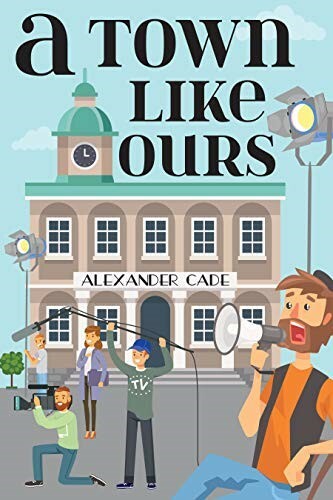 The book centres on a family drama, with a work obsessed and emotionally distant father, two teenage children that he generally fails to engage with, and a mum doing her best to hold diverging lives together. Contemporary drama is very much the emotional driver of this work. The other key elements revolve around a dangerous terrorist unit of anti-capitalists and robotic toys that communicate with each other rather too well, when their software is enhanced with a sort of bee hive logic-based application. Perhaps surprisingly, the diverse elements of the story bond together very well. 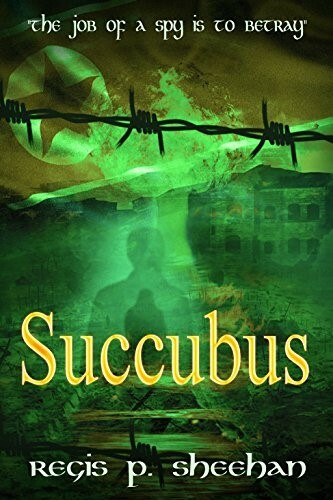 The book is well written, adequately edited and paced towards a suspenseful climax. In other words, Wright has produced a rewarding entertainment. As far as my very thin understanding of information technology goes, the artificial intelligence elements are plausible. I am accepting of the scientific understanding that sentience developed naturally through animal evolution. So perhaps that is also a realistic, and possibly even inevitable, ‘evolution’ in computer logic. Certainly, that is the basis of a massive modern outpouring of science fiction and philosophical thought. ‘We think, therefore we are’. I have no hesitation in giving this book five stars on those media streams that demand such crude stamp collecting. I greatly enjoyed the development of all of the main characters, including Sherlock, who blossoms late in this worth reading adventure. My copy is from the 4th impression of the original Faber and Faber book printed by the Western Printing Services Limited, Bristol. The book was considered important enough to be first printed in 1941, when invasion of England by Hitler’s armies appeared imminent. We already had the 4th impression by 1944, so the book was in regular demand. Its relevance at the time was extreme, as it could only help the farmers struggling against national food shortages that were threatening to bring the British nation to its knees. The book is very general, but mostly geared to the encouragement of lea farming, as the best way of optimising fertility on many farms. The preface to the book was written by the great agriculturalist E.J. Russell, from Rothamstead Experimental Station in May 1940. Soil and Sense was deemed to be of significant war time value, though it was the Great War, (WWI), to which the written words mostly related. The book still has a relevance today to the organic farming movement, although written before much was known about the more complicated microbial activities of soil bacteria. Note though, that the farmers best learning experience has always been practical observation of working his own lands. The book is certainly of modern interest to those concerned about the excessive demands on the planet’s agricultural land resources. The writing is light and entertaining for what is in effect a text-book of agriculture, and Graham’s particular interest in lea farming. This is the breaking of the arable rotation with more-or-less three years of sown grass mixtures, grazed and/or cut and carted. I enjoy reading the book a chapter at a time as a way of being both entertained and relaxed. I’m sure I am biased in the books favour, my copy having once been the possession of my uncle, Bruce, struggling with my father and grandfather to make ends meet on their tenanted Lightleigh farm in North Devon. Leigh translating from Old English leah (area of cleared forest. The light, in agricultural terms is an adjective indicative of sandy soil, not heavy, from leoht (Saxon). I note that most of their income was from netting rabbits, so poor was the land and way they could afford to farm it. Michael Graham would have been appalled that the rabbits were in such great numbers that they could ravage the new sown leas. The book was much needed, to give courage to my family’s farming. Lea farming is certainly a balanced and efficient way to farm not just in North Devon, but across vast swathes of lowland Britain. And of course, what applies for the good management of land in these territories applies equally to many temperate areas of the world. The reading of this book is a delightful way to be drawn away from the urbanised world into the countryside and its agricultural fields, and so back to the roots of our civilisation, which are the very rootstock of farmed grasses and wheats. Our true wealth is still the land on which we tread, and the richest of the lands aren’t covered in concrete, asphalt, factory and glass, but with natures tapestry, modified by arcadian care, and sustainable methods of farming. The book is still in print though in some sources, possibly dubiously acquired and profiting. Also note the risk of confusion with other authors who have subsequently written under the name Michael Graham. Humus in the soils, humour in the words and not an ounce of hubris. A book that still should have a place in the organic farmers’ bible. This is a well written book that passes all my standards for a five-star review. However, I have to say that I didn’t particularly enjoy the fiction. This lack of engagement being in large part because I find everything relating to celebrity status intensely dull. I was seduced to read by the outstanding opening phrases of the first chapter. The nod towards the spilling of blood suggested a read I wasn’t going to get, but let me be clear, Patrick certainly didn’t set out to deceive murder/mystery lovers and thriller fans into reading. The contents are clearly written on the label if one takes the trouble to read the full blurb. We all have expectations about the way certain people behave. In this case those expectations are largely played too. We read a strong story about the pampered celebrity elites that fill the vacant spaces in real human-interest news stories. For many entertainment industry fans this must be exactly choice bread and butter. Hollywood, like sport or gambling, fills a lot of territory in very many individual lives. I on the other hand couldn’t ever raise a care as to which flawed characters rose or fell in the glittering fictional pond. I’m sure I’m missing out on something by not being intensely interested in the rivalries between the real stars, the Joan Crawford versus Bette Davis, Orson Welles v William Randolph Hearst, that inform the fictional ones Patrick creates. This fiction does a convincing job of paralleling and parodying reality. Patrick plucks a little bit from a great many of Hollywood’s legendary lives and places his clever concoction into a near future time. The masked figure on the cover of the version I read gave me a clever and accurate feel for the story that waits inside. So is my negativity of any value to most of those that are planning to read this book? That is a fair question. I can recognise that this is well written escapism. The jealousies really are so very Hollywood, so well reflecting backstory reads in a thousand glossy magazines and perhaps, as a crude generalisation, so much more female than male in interest. I failed to pick up on the dark humour mentioned in the Kirkus Review, or anything very funny at all except in the absurdity of familiar movie satire. I kept wondering if I was missing something. And indeed, perhaps the joke is on me for the view through my blinkered myopic eyes. Certainly, this book has some really good reviews, many that have no trouble in finding comedy. In short, this is quality paint, plausible Hollywood glitter, that for me dries too slowly, if at all, and leaves too few memorable bursts of colour. What an interesting read, a novel written as imaginary documentary on a near future doctor’s career, following his path from childhood through medical school and training to eventual mixed fortunes as a robotically enhanced family practitioner. There is a depth of humanistic sentimental content, however it is future technology, not human behaviour that drives this book. The author is a retired medic who speculates the future of his profession. Gustafson brings a huge amount of personal experience of medicine and its politics to this fascinating story. His real knowledge gives real bite, a profound credibility and layered plausibility. His future ‘expectation’ is so well constructed that it is difficult at times to keep touch with the fact that we are reading of a future and not a ‘true’ life history. All the medical politics, economic constraints and technologies are already seen today in their infancy, such that very little of the science fiction seems implausible, fantastical, in 2018. The writing is straight forward and accurate, while the plot is simple in design and yet rich with interesting detail. One might even say the book is predictable, but no less enjoyable for that. This fiction is written with almost a scientific efficiency, like a well written industrial report, with just enough of a veneer of character story to give a richness, a feeling of personal buy-in, of voyeuristic enjoyment, to the reading. I recommend this book to all who wonder about the future of medicine, and where it is taking both our medical practitioners and us all as hopeful patients. This is a fiction brim full of interest, with a backstory centred around the fears and ambitions of one particular doctor and his future long-suffering, wife; one particular doctor who may even now be considering a medical career. Gustafson has the skill to write speculation that reads as a medical future that is already established hard fact. Does this doctor actual exist, one who might possibly retire in say 2068? Satire; this sketch on life is dripping with it. Factually, there are no unflawed, boringly normal, characters in the entire and wide cast of this book. Every one of them is easily mockable. The page to page writing is very good, the story so ridiculous though so human that you sort of know that all the elements are plausible and common, though rarely if ever so concentrated even in one small backwater on the road from and to only marginally less isolated nowhere. The writing is well enough structured that the reading is effortless and entertaining. Description is crisp and focused. Characters are all individualistic enough to be remembered or, if we have been distracted, to be easily reminded of in one or two clear phrases. One comic pratfall flows effortlessly into the next, so that I could not help but find myself in the final chapters almost before I knew what a totally ridiculous ride Cade was taking me on. There we come to what is for me the only weakness in the book, the lack of climatic resolution, the looseness of the final knitting. Does that matter in such a book? Probably not. This isn’t a thriller that desperately needs conclusion, it is more of a wry look at the ridiculousness, the small mindedness, the gullible incompetence that we all occasionally suffer from, and most especially those arrogant individuals that think they never do. This is an effortless read, not because the plot is simple, but because it is accurately written without the wads of supporting, though ultimately unnecessary detail common to so many spy/espionage thrillers. One could never describe Succubus as a ‘fat book’, engorged by superfluous, minutely detailed, descriptive paragraphs. This book is in a series of what I assume to be similarly economic-with-words novels. In this case classification as a novella has some credence, especially when the factual historical background is mentally separated into prologue. Inevitably, the so recent backstory will seem superfluous to some readers, but it certainly helps add a quality of realism to the fictional events whatever one’s previous knowledge of world affairs. I found it very easy to buy into the book as truth, which in a sense I’m sure it is. I’m sure that all the personal story elements have been accurately mirrored many times in the history of modern-day Korea. The plot is exciting, with the traction to engage the reader despite the aforementioned economic writing style. We don’t have to be told how the blood drips, how the bullet distorts the flesh, how the cold creeps into ill-nourished bones to know, to see these terrors in the mind’s eye. Though this work is light on superfluous sentiment we are given a sufficiency of insight for us to generate our own details of character and those momentarily described scenes. The directness of the writing is perhaps indicative of the work of a writer that has spent a working life at the sharp end of security and intelligence services, where long sentimental reflection is at best a dangerous luxury. Sheehan’s writing perhaps reflects a certain detached intensity in his own psychological make-up. We don’t get the intellectual chill of Le Carré, or the bombastic, and literary graphic detailed of great adventure and conspiracy writers like Wilber Smith or Tom Clancy but we do nevertheless get plenty of sharp observation. Sheehan is very fond of using real and, what in relative ignorance I choose to guess are, realistic but invented acronyms. I point this out only because they are perhaps at times, overused, this being a story rather than a State Department report. I can see how their abundant use was by way of adding to the matter of fact realism, but also just perhaps a few were unnecessary. The upsurge of significant news currently emanating from the Korean Peninsula certainly adds to this work’s poignancy. I have no difficulty in giving this work the full five stars on those sites that demand those crude endorsements. However, in the edition I read there are a few annoying copy errors. I assume that these will be addressed if ever Sheehan finds a void in his agenda. The only thing I don’t comprehend is the relevance of the book’s title, though I can believe that it would be very pertinent to the spy novel with a clear seductress as its pivotal character. This memoir is one of little vignettes set in different times and places as Burns’s life took him around the world. At times the stories are very ‘familiar’ to one of my age and relative privilege, as we baby-boomers have seen the world open out under the blast of the airline jet engine. However, they should appeal to a much wider audience. Burns is good at drawing one into his observations of times and places, now changed or changing, so helping one appreciate the ups and downs of living his sort of middle-class, often-relocated, lifestyle. Nowadays, travel seems to be ever more routine and ever less exotic, and of course it never has been all fun. Burns spares us from many of the mundane difficulties, the personal psychology, of constantly moving a family from one short foreign posting to another, a burden that anyway regularly falls heaviest on partners and young families. This is a book of twenty random assembled short stories taken from a full and industrious life, that began with a childhood centred in Rotherham, England, and eventually encompassed locations as scattered as Buenos Aires, Ann Arbor and Guangzhou. Increasingly, as the world shrinks, the world-wide business career is conducted from one, tacky, noisy, communal space, in Milton Keynes, or Santa Clara, and/or from the home-based ‘office’. Foreign postings may well be becoming a thing of the past for all but the most select of ‘business’ managers. There will always be economic migrants, but probably these will decreasingly be those in the cadre structure of international firms that once relocated so very often. The experience of this businessman posted so far and wide may well soon read like distant history, even if politics and strife should allow us to continue our addiction to distant ‘package’ holiday travel. If you like memoir and particularly short, pithy stories snapped from personal histories, you should love this book. Patrick Burns has had a life full of interesting anecdotal incidents, which he has penned in this entertaining and personally modest script. One feels that he never strays from simple, honest, unexaggerated truth and thus created these edifying glimpses into his personal history. This isn’t autobiography designed, and so often failing, to be awe-inspiring; this isn’t look at me, aren’t I special, this is look at the special, often extraordinary people, I have been lucky enough to journey with. This book is one of those rare memoirs that easily holds my rapt attention. This is classic Steampunk genre with a morality tale or two, writ large. The young teenaged, Beatrix, escapes a suitably Dickensian circus to travel the world on a multi-story dirigible, a craft common to so much of the genre. The adventure, the search for the long-hidden artefact, is entertaining, even though the elements that build the story are somewhat contrived and sometimes less than well knitted together. However, the words themselves are nicely knotted and well cast-off. A ‘Victorian’ tone is achieved and displayed well enough, onto which is painted vivid pictures of both the cast of characters and the world in which they are played. Comedy is a consisted chord, tongue-in-cheek rather than riotously funny. The Colonel is all comic foil, a wild mix of Phileas Fogg, MacDonald Frazer’s Flashman, and Captain Pugwash. It is his eccentricity rather than any string of logic that binds the book. This book is dripping with realism, with historic realities, stuffed full of the issues of the then still young baby-boomer generation. We are immersed, near drowning, in the real issues of a student body that feared the bomb: but feared man’s inhumanity to man far more. We are with the issues of the post-war generation that had to make stark individual choices between defying the generally respected government apparatus of their parents and grandparents, by radically opposing neo-colonial war, or joining the ranks of those that might have to kill as soldiers, or certainly by proxy, those fighting for their homes and their innocent children in distant lands. Nora is at the centre of the social struggle, a child of the ‘50s, a daughter of parent’s born in the ‘20s and ‘30s. The older generation that had suffered the deprivations and often the full horrors of world war and who now struggled to understand the anti-establishmentarianism of so many of their kids. In 1966, the parental generation was as psychologically distant from the lives of their children as any times have seen. But quite naturally, establishment structure and deeply ingrained cultural expectations, hung heavy shadows over even the most progressive. No generation can reject all the expectations of their upbringing. Nora, like those around her, was struggling with her personal place in the world as much as with grand designs. This is so vividly drawn in this story as the young unmarried mother feels little choice but to give up her new-born child. This is a chronicle of change for one women in a social fabric that was constantly melting and reforming around her. 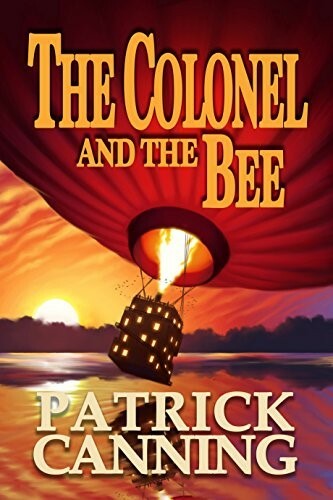 Great writing, and an interesting use of historical fiction with two separate but ultimately connected storylines from the past. 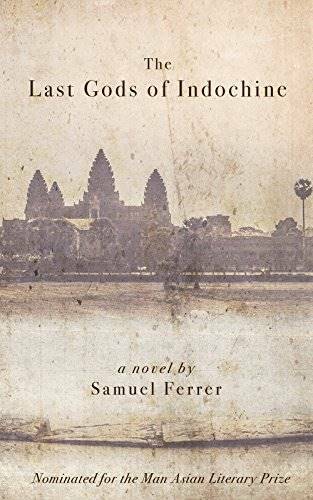 The first story is set in the 13th Century reign of the Khmer King Jayavarman VIII and the second between the 1860s and1920s. This is a well written quality read. I found every chapter to be entertaining in of itself and so maintaining a strong desire to read on. I would have liked an ending with a few less swirling dreams and rather more ‘facts’. Most of the characters names are borrowed from history but precious little that is actually known about them. With such a thin veneer of known history perhaps the ending had to be mysterious and ephemeral, leaving a host of possible paths along with the unsubstantiated assertion that science and not religions’ unprovable possibilities dictates our fate. Willén, in his first departure from sf space adventure/opera, has written a present-day thriller set in a generic northern forest reserve territory of the USA. Once begun the book is hard to put down, as one is driven on by the pace and tension in the story. The character elements of the evil antagonist bound along the edge of implausibility, on a tightrope between impossible and just about conceavible human physicality. In contrast, the rest of the cast of good, bad and pretty are within a more normal range of observable humanity. The plot is just about conceivable, except for the behaviour of a pack of wolves. We note that the author is Scandinavian, so of a population that has been responsible, more than any other, for demonising the wolf. The author also seems keen to exaggerate the danger from the cougar, or mountain lion as many Americans choose to call the creature. Both the cougar and wolf can on rare occasions be a genuine threat to even uninjured, but isolated, humans, especially if an animal feels cornered. But neither is exactly the danger to man in the way that brown bears are. The wild life, non-human and human is extraordinarily dangerous in this neck of the woods. The book is certainly both great entertainment and the provider of a good adrenaline rush. Anyway, for the cause, thriller writers have never been frightened to claim that some maligned animal or other is almost as dangerous a predator of humans as is another human. I was swept along by this multi-shaded literary social drama. Even when the colour of life was bright dark shadows always lingered, ready to overwhelm any, or all, of the three main characters. On the face of it, these people have been dealt a more than reasonably favourable hand in life, but none played it out at all well. This is a deep-dredging read full of soul searching, variously damaged character and of the randomness of life’s dice that are never afraid to roll. We see great opportunity contriving to yield far from great results. Sometimes the less than satisfactory play of events, emotions, preferences and addictions are overcome by great strength of character, and yet more often they are compounded by ingrained flaws. This book is not only well written, it is also pacey and extremely gripping drama. The characters all feel real to me, being an individual whom can be seen to have perhaps made less of himself than apparent opportunity might suggest. I guess that most people might agree that they’ve underachieved in some key ways, if they are prepared to dissect their lives with brutal honesty. Brutal honesty isn’t something that hides between the lines in this books pages. Some readers appear to find some comedy in the characters flaws. I found little of that, apart from an occasional smear of black humour. However, there is certainly cartloads of irony in certain attributes that should/could have given life-long advantage, but which were overwhelmed by deep-running rivers of inherently flawed character. Wells has a deep understanding of intrinsic, often genetic, behaviour that usually dictates life despite rather than because of the paths we are placed on, and the deviations we discover for ourselves. We are what we are. The frog will always be a frog. Dreaming of being a famous poet or a princess may just lead one that way, but even if the path is found, more than often, one’s innate character fails to let one stay on it. Finally, on the basis that any news is good for advertising, then Bushmills whisky should do very well out of this book. I wonder if the brand may be the author’s favourite tipple, or perhaps he just has shares in this famous old Northern Ireland Distillery.